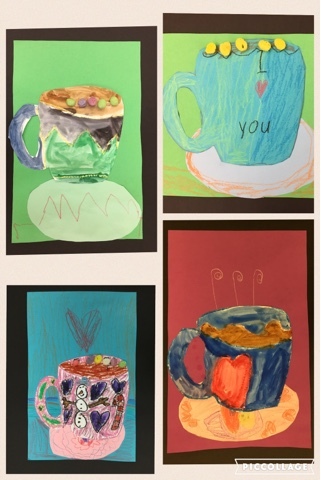 Ms. Nasser's Art Studio: Art and books go together like hot cocoa and marshmallows. Art and books go together like hot cocoa and marshmallows. Fuller Meadow Kindergarteners have been making up our lack of snow lately with two winter themed projects. 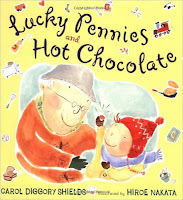 Each lesson started with a book and a song for inspiration. 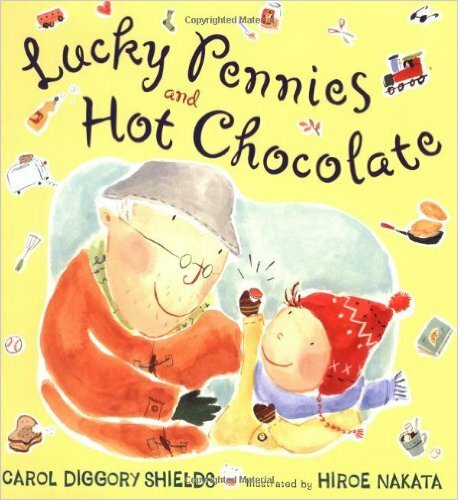 I loved reading Lucky Pennies and Hot Chocolate to my classes, especially when we got to the end! 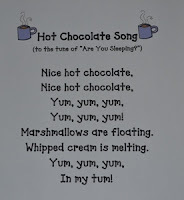 This song is from scholastic.com. It went so well with this lesson. construction paper crayons and watercolor paints. Students even added "marshmallows" to their art to make it authentic! 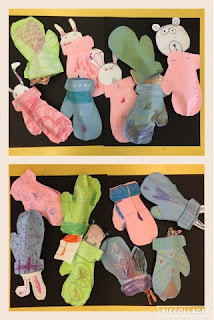 For their second lesson, they used Jan Brett's The Mitten to inspire their own winter mitten, complete with a favorite winter animal peeping out. 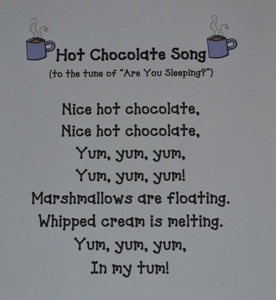 We used the story and this song developed by Nancy Vandenberge to open the lesson. Next we discussed how each animal can be drawn using different shapes. 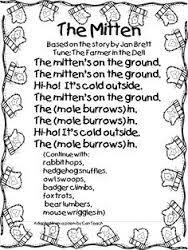 The students loved making animals and tucking them in their mittens. The finished projects were adorable! What do you think of their winter themed artwork?